Posted on Sunday, July 5th, 2015 in Featured, Liuwa Plains National Park, Mahale Mountains National Park, Okavango Delta. 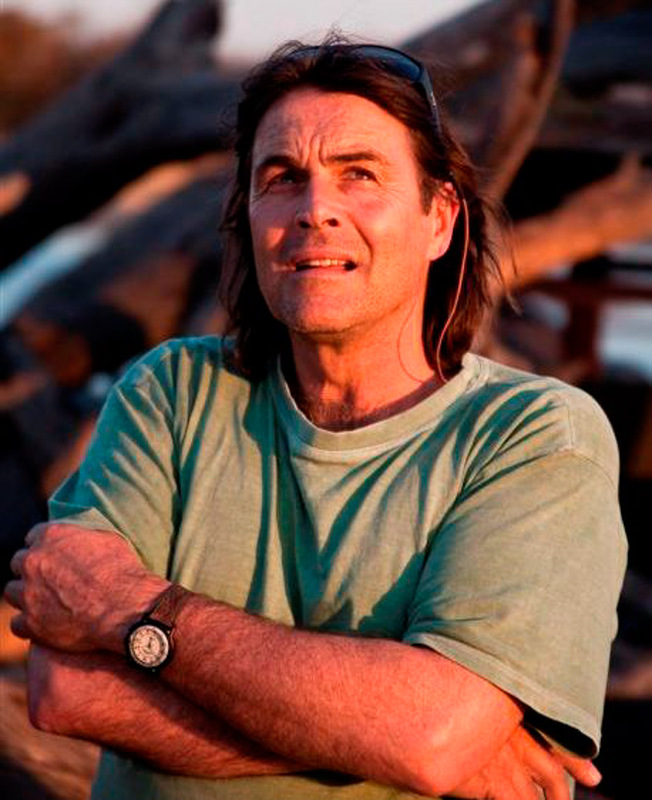 Ian Michler of Invent Africa is one of the continent’s best-known wilderness guides, as well as an outspoken environmental photojournalist who has worked for the protection of Africa’s wild places and wildlife. For 15 years Ian has researched – and campaigned against – the canned lion hunting industry in South Africa. Ian was instrumental in researching and presenting a new documentary film entitled Blood Lions (produced by Pippa Hankinson and Jeremy Nathan, with support from Wildlands Trust). This documentary reveals the full extent of the notorious industry, which serves no purpose for the conservation of the species whatsoever. Blood Lions is due for release at the Durban International Film Festival on 22nd July. I chatted to him recently about the notorious canned lion industry – as well as rhino horn trade and hunting. Ian also shares a few inspirational thoughts on some of his favourite wild places in Africa. You’ve been exposed to some very different wildlife experiences – which was the most striking? About 15 years ago, I was at one of the many wildlife auctions that take place across South Africa. I photographed an adult lion squeezed into a metal crate barely larger than its own body size. Brought to the market for selling, the crate was lying in the midday heat and all I could see of the animal was one of its eyes. What I saw in that eye continues to drive much of my conservation work. There are probably no more than 20 000 lions remaining in the African wild. Consider that there are maybe more white and black rhinos in Africa than lions, and its clear that lions are facing a serious conservation crisis. South Africa has somewhere between 2 800 and 3 200 lions in the wild. Of these, about half are “managed”, as they occur in the smaller private wildlife reserves. 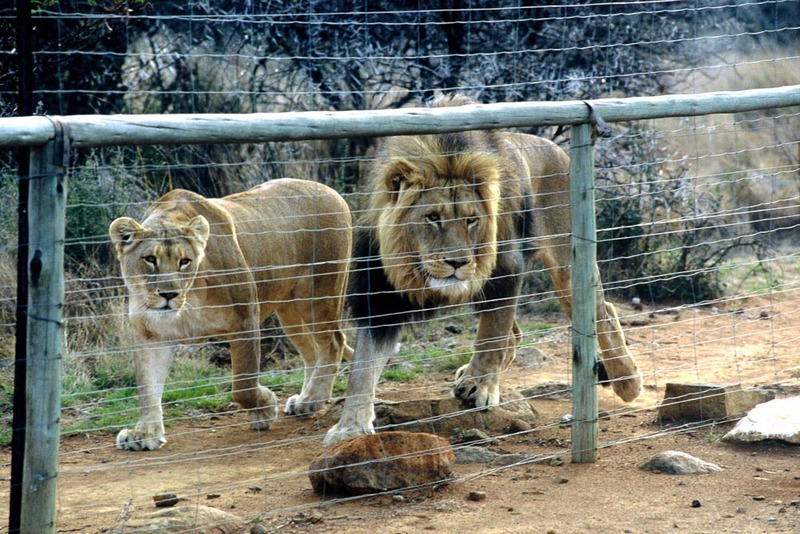 But there are now currently about 8 000 captive lions in South Africa, bred in small enclosures or smallholdings. These “canned” lions are bred for a variety of uses: for cub petting, for hunting and for the lion bone trade, which is booming in Asia. It’s become a multi-million dollar industry – and all based on the deceit that it’s about conservation, education and research! The genetics of these captive lions are useless to conservation because of inbreeding, as well as extensive habituation to humans. Of course, these are apex predators which should be roaming wild and free in national parks and wilderness areas. Lions should not be bred in captivity, or enclosed in cages or small enclosures. Captive lions bred for hunting in South Africa – copyright image Ian Michler. Trade in rhino horn. Yes? No? Or Maybe? It’s a big subject but here’s my short answer. Trade in rhino horn should not be allowed as it may well hasten the demise of the species. Firstly, trade is based on a fraudulent paradigm. The economic models put forward to support a trade are weak, inconclusive and ultimately, risky. Then trade relating to other species or their body parts in similar circumstances (for example elephants, bears, tigers, lions, abalone and vicunas) clearly show how a legal market promotes demand, poaching and parallel illegal markets. Finally, because of current legislation and voting requirements, it would seem that South Africa’s chances of succeeding with change at the 2016 CITES meeting are highly unlikely – why are we wasting time and resources on an unrealistic approach? Hunting. Does it fit into your conservation matrix? First, we have more effective ways of managing protected areas; responsible non-consumptive ecotourism being the primary one. These options bring significantly more sustainable conservation, economic and community based benefits. Second, trophy hunting is a paradigm that originated over 100 years ago when colonials sought to shoot large numbers of wild animals as sport. Despite the conservation and economic justifications, it still remains mired in that thinking today. However, in the last few decades we have made such substantial advances in unraveling our knowledge of other species, the environment in general and the impacts we are having. Society demands that we respond progressively to such scientific and social breakthroughs, which should mean a complete review of trophy hunting. Ian, you’ve travelled all over Africa for two decades. Which are your favourite wildlife regions on the continent? These appear in no particular order as depending on the time of year, each has advantages over the others. First, the remote private concessions of the northern and central-western reaches of the Okavango Delta in Botswana. The wetland and woodland mosaic is always enchanting, and makes for the perfect place to linger amongst wildlife and birds. Then Liuwa Plains National Park in far western Zambia during the May/June period. One of the most under-rated parks out there, Liuwa has awesome birding, fascinating wildlife, great landscapes and those early evening periods where sound and silence alternate are completely addictive. The Mahale Mountains in far western Tanzania offer something truly special, and if twinned with Katavi on the other side of the mountain, it’s the most unique safari combination available. The far north western reaches of Namibia, the southern Serengeti and Timbuctou are not far behind. If for some hypothetical reason, you had to leave Africa, and never return, which three specific camps in Africa would you choose to spend your last three weeks on the continent? My first stop would be Greystoke Mahale on the shores of Lake Tanganyika. The setting is idyllic and the lodge is the perfect balance of what a great safari camp should be. Looking for chimps in the forests is thrilling, but time spent wafting away on the crisp lake waters is what anchors the experience. Mombo Camp in the Okavango Delta, Botswana would be next. Some camps may have more wildlife, others bring that extra touch of the spectacular or unusual, but if it’s for a consistently rewarding and memorable all-round safari experience, I don’t know of anywhere in Africa that can beat Mombo. I would end at Nxamaseri Lodge in the Panhandle of the Okavango Delta as this is where it all really began for me. I love this place like one feels for a home and the waterways and floodplains offer some of the most incredible birding. The population levels of many of Africa’s large fauna in the wild have plummeted in the last 100 years. Going forward, what must be done to ensure that Africa’s iconic species survive? Firstly, environmental education needs to be introduced at all schools from the very first grade and this must be continued through high school and into university and post graduate studies. It is ludicrous that certain other subjects are compulsory or deemed vital, yet the very one that embraces our survival and could ensure a healthy relationship with this planet is almost completely ignored. Secondly, the basis of this education needs to teach us about respecting the interconnectedness of all ecosystems and species, and that we cannot treat everything on this planet simply as an item for our use or consumption. And thirdly, we somehow have to break or uncouple the devastating link between our political systems and big business. Both are driven by self-interest that focuses on short-term thinking and gains, factors that are in complete contrast to what conservation requires. Yes, the western democratic capitalist system has brought significant benefits to some of us, but it has also become something of a global wrecking ball. What does African wilderness and wildlife mean to you, personally? Wilderness is so utterly different to everything that consumes the daily lives of most modern humans. Wilderness is completely natural, while our societies have become increasingly manufactured and contrived, and the level of malady we feel and display as individuals and communities is a measure of this menacing disparity. So yes, we go into the wild for the immense beauty, the tranquility, even the excitement, but we also go because it’s the most secure place to measure our own maladies and levels of unease. Being there is like coming up for fresh air, and it’s the only place where we can, for a period of time, exist in that refreshed state of mind. What do I miss most about it? The complete authenticity and integrity that exists, factors that are mostly absent in our world – and it’s kind of reassuring to know they trump our cunning ways. 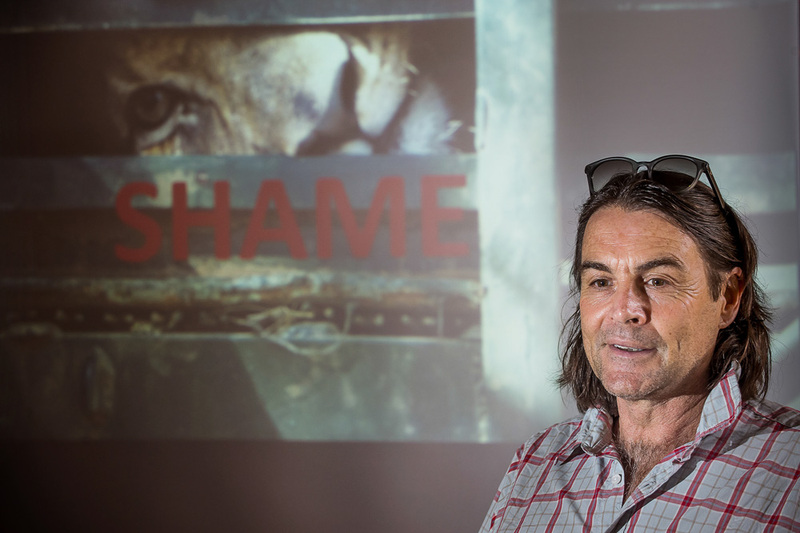 Ian Michler has researched – and campaigned against – canned lion hunting for almost two decades. Scott Ramsay of Love Wild Africa is a photojournalist documenting protected areas, national parks and nature reserves in Africa. Partners include Cape Union Mart, K-Way and Ford Ranger. Supported by Safari Centre Cape Town, Goodyear, Outdoor Photo and Hetzner. I thoroughly enjoyed this article, and can relate to Ian’s sentiment about the wilderness. Would you mind if I share this to my Facebook and Twitter accounts? Thanks so much. Love connecting with fellow bloggers. I’m still a newbie, but I know what it means to me to hear from my readers.